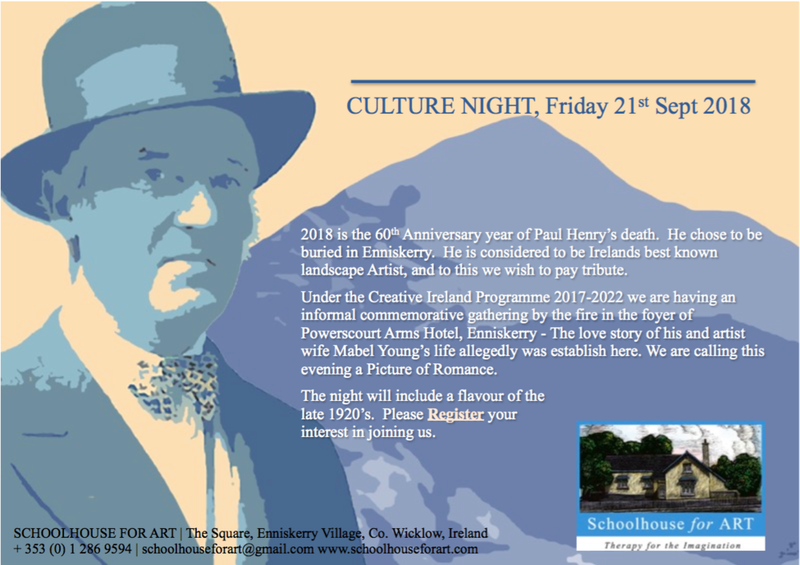 WELCOME TO Schoolhouse or Arts CULTURE NIGHT, Under the Creative Ireland Programme 2017-2022 we are having an informal commemorative gathering by the fire in the foyer of Powerscourt Arms Hotel, Enniskerry. The love and artistic story of Paul Henry and Mable Young allegedly was established here. We are calling this evening a Picture of Romance. The night will include a flavour of the late 1920's. Please register your interest.